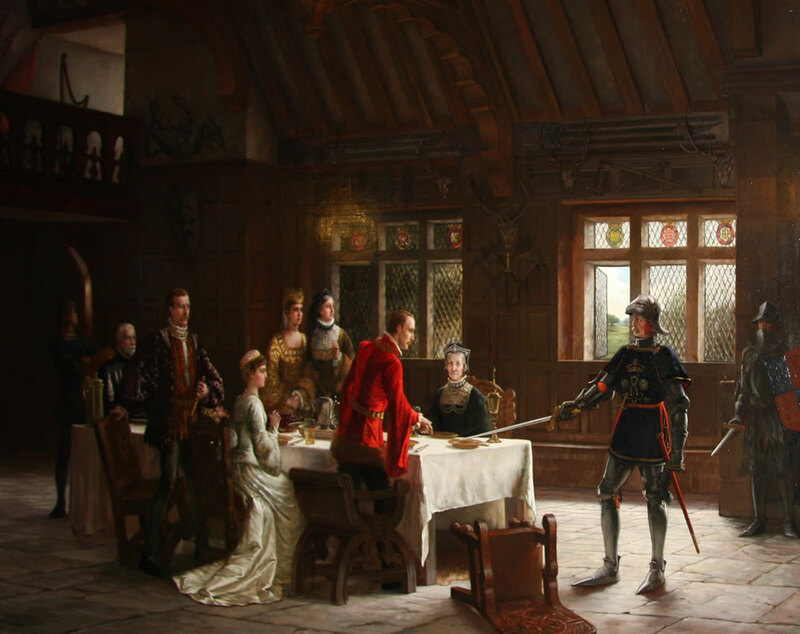 Whilst orchestrating his capture of the English Crown during the Wars of the Roses, Henry Tudor (1457-1509) apparently visited Mostyn hall in an attempt to muster support for his forthcoming campaign. As a close kinsman to the Mostyns and being a fellow Welshman, he and his pretentions were seemingly welcomed with open arms. Indeed, back in 1457 two members of the family had been slain whilst promoting the Lancastrian cause. Nevertheless, legend states that Henry Tudor was forced to escape through a window – the ‘King’s Hole’ – after a party loyal to the reigning king Richard III had arrived to apprehend him. 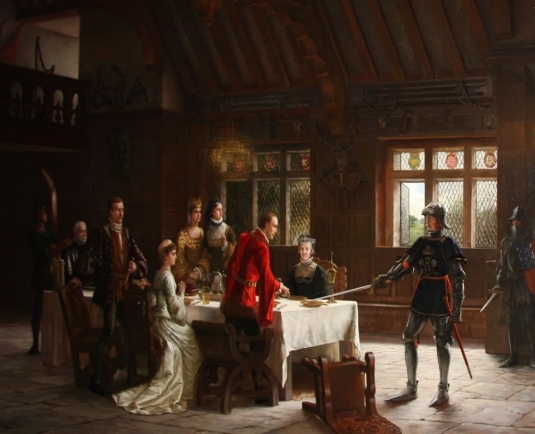 His host at Mostyn was a young gentleman named Richard ap Hywel (c.1468-1540) and it is alleged that in 1485 he subsequently followed Henry Tudor to the Battle of Bosworth with a large company of retainers from the area. Richard ap Hywel of Mostyn was rewarded by the victorious and newly crowned Henry VII, being presented with the belt and sword he had wore that day. Similarly, he was offered a place at the king’s court in London, which he politely rejected with the answer: ‘I dwell among mine own people’. In 1909 Lord Mostyn dressed up and performed the role of Richard ap Hywel in a dramatised re-enactment of the Battle of Bosworth at Cardiff’s Sophia Gardens, as part of the ‘National Pageant of Wales’. Today, a visit to Mostyn hall is not complete without a viewing of the ‘King’s Hole’. Nevertheless, fragmentary evidence suggests that it was Jasper Tudor (c.1431-95), Henry Tudor’s uncle who escaped in a boat from the coast at Mostyn. It was claimed that he made it back to Brittany more by his own skill than the inept navigation of the Flintshire sailors.